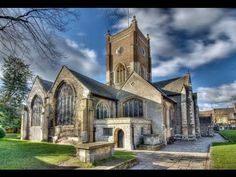 Kingston’s only Grade I listed building – a church has been on this site since Anglo-Saxon times; several Anglo-Saxon kings were crowned on this site. The current church mostly dates back to the 14th and 15th centuries. Come and explore the site with our heritage trails, discover the history of All Saints in our heritage gallery with introductory video and interactive timelines and discover the hidden treasures of All Saints, including a replica of Athelstan’s crown! Kids and adults alike can become Saxon thanes and decode saxon runes in our treasure chest and become certified history detectives with our special Heritage Open Days trail. Visitors can also enjoy refreshments in our cafe.